I've always admired the Nokia Communicator series from afar, waiting for the right time to switch up to the beasts. As I see it, there are two necessary requirements for owning one of these phones. Firstly, you have some need to check your emails on the go - maybe you travel away from your computer a lot - and secondly you need to wear a suit for work. For some reason these phones just seem perfect to fit into a suit pocket. Sadly it doesn't seem as though I will be fitting either of these criteria in the near future. The umbilical link between myself and my laptop shows no sign of being severed any time soon and I work in shorts and a tee-shirt. Woo hoo! The joys of working at home. The latest installment - the E90 - is one of the most advanced, feature-packed mobile phones ever released. Interestingly, the phone uses a Symbian S60 operating system as opposed to the S80 used on the 9500 and 9300. This may seem like an unusual step, but S60 offers E90 users access to a much wider range of applications. A quick straw poll suggests that S60 is every bit as easy to use as the newer system and ultimately more flexible. Good work Nokia. 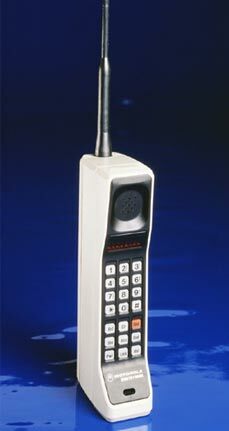 This is a business phone. Smart features include onboard GPS and a high-resolution screen. The system can handle PDF files and read documents in Microsoft office. Unlike the previous generation of Communicator, the E90 comes fully-loaded with 3G, which can only be good news. Features which you may be surprised to find on this phone include an FM radio and 3.2 Megpixel camera. Many businesses do not like to have cameras onboard business phones (however employees generally love them). I imagine the phone is there for those long, dull train journeys from London Euston to the Midlands to meet clients. Hmm... maybe that's fair enough. 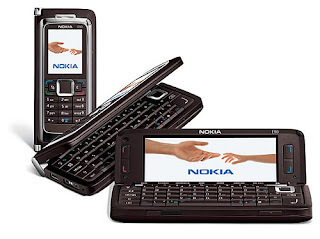 I think the E90 may even challenge Nokia's N95, I just dont know if I cant wait any longer for it. I have been following nokia-e90.com , who says the communicator will retail for over a $1000. Worth every penny!